The Ottawa Public Library is a place for exploration and discovery where we provide tools and resources – high-tech and low tech – to enable creation and inspire learning at any age or stage of life. OPL spaces, tools, collections, and programs, are designed to spark curiosity and build connections that bring our community to life. Feed your imagination. In April 2014, the Ottawa Public Library (OPL) and the U.S. Embassy in Ottawa collaborated to open Ottawa’s first public makerspace entitled Imagine Space – an American corner. Makerspaces are creation and collaboration hubs, offering technologies and tools that allow customers to experiment and to create in a social setting. They are built on the premise that knowledge and learning is often better transmitted via sharing, collective problem solving, and task performance. Using the digitization station you can preserve your historical photos, documents and objects. photo paper, $2.00 for 8.5 x 11; $1.00 for 4 x 6; USB $6.00; SD card $20, and DVDs $1.00. equipment is bookable for self-directed use. the mouse, keyboard and scanner parts need to be signed out at the Hub. 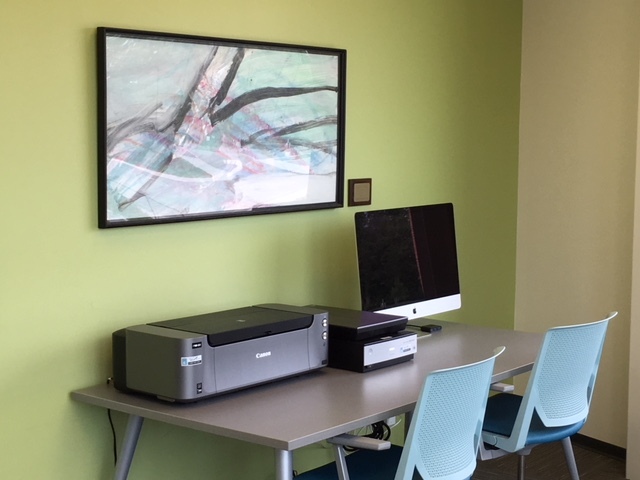 The music editing stations stations allow library users to produce, record, and edit audio files. The stations are equipped with a music keyboard, headphones, and a Mac Pro with four editing software: GarageBand, Ableton Live, Logic Pro X, and MuseScore. Before your session begins, please speak with a staff member at the 2nd floor Hub to borrow a music editing kit which contains everything you need to get started on the stations. You will need to bring your own storage media to save your work, but USB keys are available at the library for $6.00. Please note that children under 12 must be accompanied by an adult. The Friends of the Ottawa Public Library (FOPLA) have donated two music editing stations to the Ruth E. Dickinson branch.